Inspired by the splendour of Versailles this sumptuous artisan tea bag chest is entirely handmade, making each piece entirely unique. 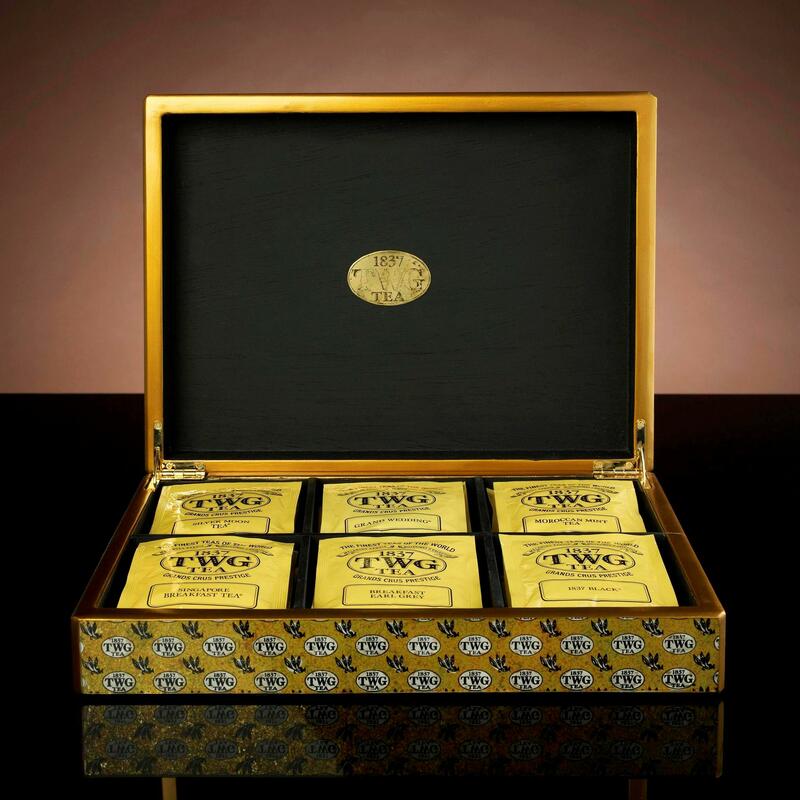 The wooden base is adorned with a magnificent design made of chiselled glass ornamented with gold foil and solid brass hinges. 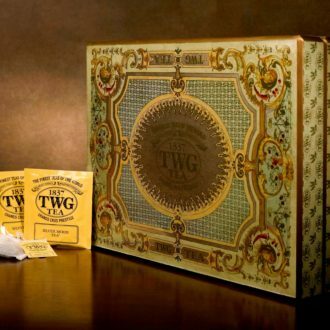 Adorned with the TWG Tea signature logo in brushed gold, this teabag chest fits 6 teabags and will decorate any reception area or dining room in the best of taste while housing your personal selection of fine TWG Teas.